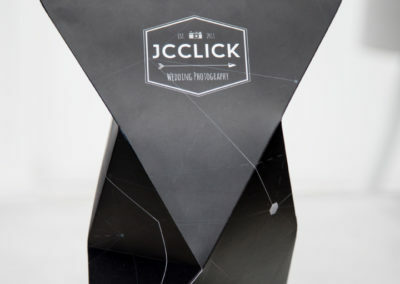 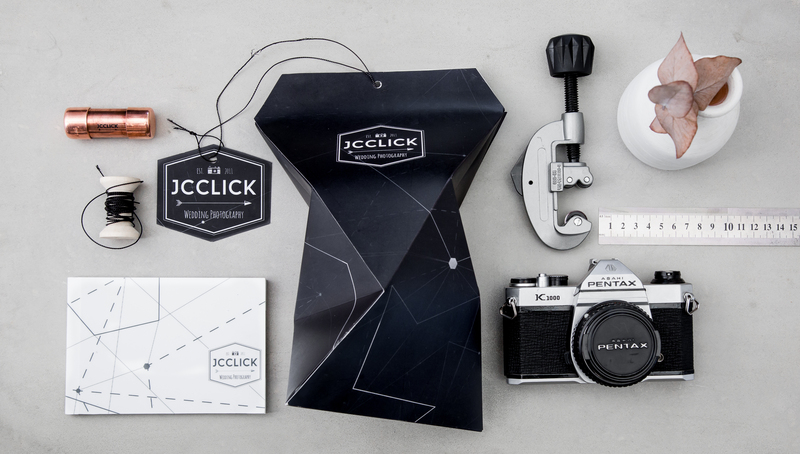 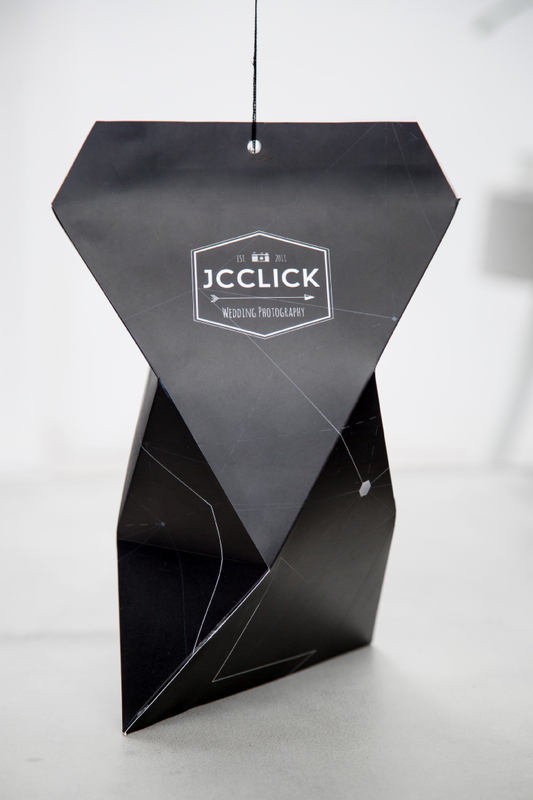 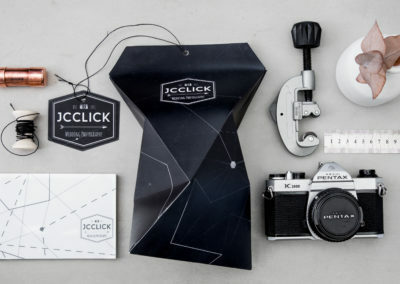 For the packaging for JCClick we decided to stay with their look and feel of their logo by incorporating very angular shapes and angles in their packaging. 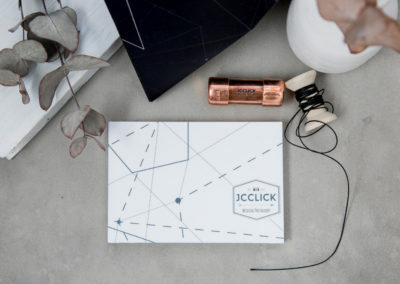 The packaging consists of a box that houses a small booklet with images as well as a memory stick encased in a copper holder. 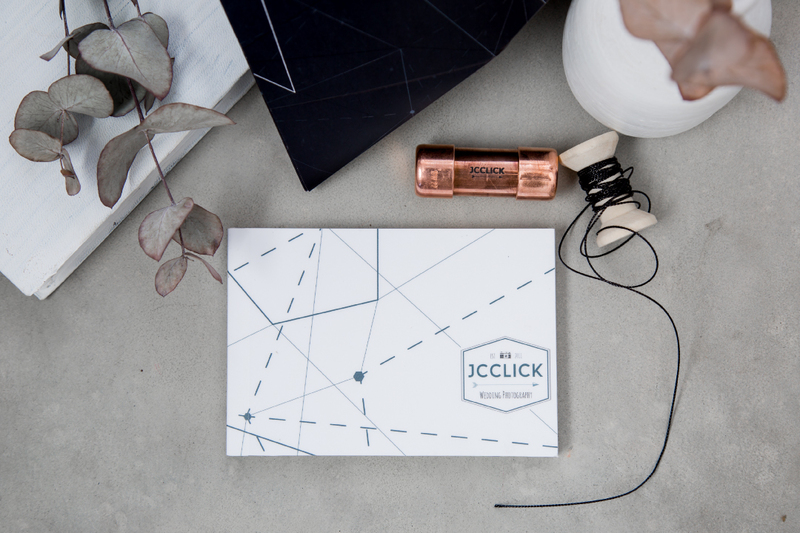 The copper holder reiterates the minimalism and strong feel of the packaging.